A beautiful hand tied arrangement that is ideal for all occasions. Alstroemeria, also known as the Peruvian Lilies, arrive in bud to reveal their colourful blossoms. 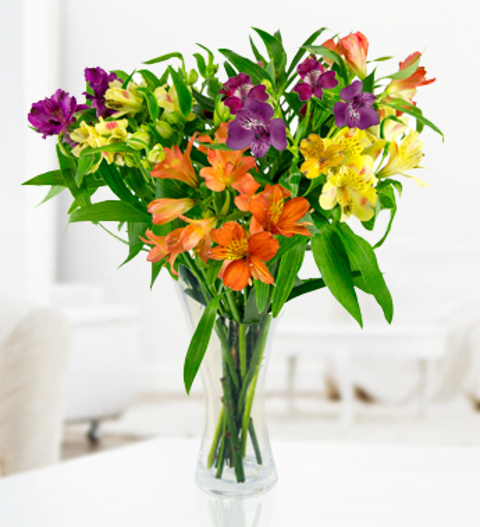 The Alstroemeria bouquet is available for UK next day delivery and comes with a complimentary box of Belgian chocolates! Chocolates may contain nuts.